“According to ancient Hindu writings “Jati was where the first Hindu priest and sacred white buffalo arrived in Bali from Java”. Since this time Jati is revered as a sacred place safe from the outside world. 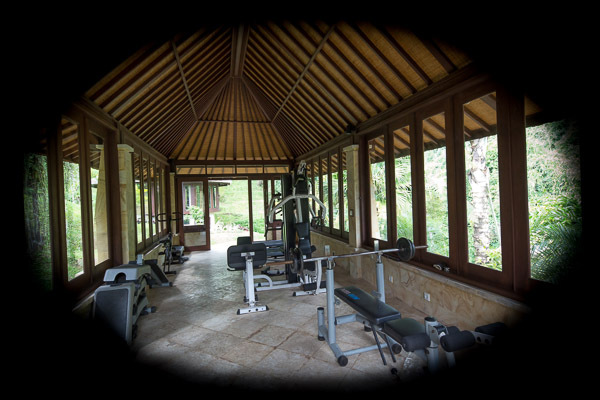 The Jati retreat is set in 5 hectares of hillside gardens amongst lush tropical forests in the mountains of Ubud, Bali. Accommodations consist of eight deluxe spa villas, each with private spa facilities and ten 10 superior villas with wide windows overlooking the tropical forest. 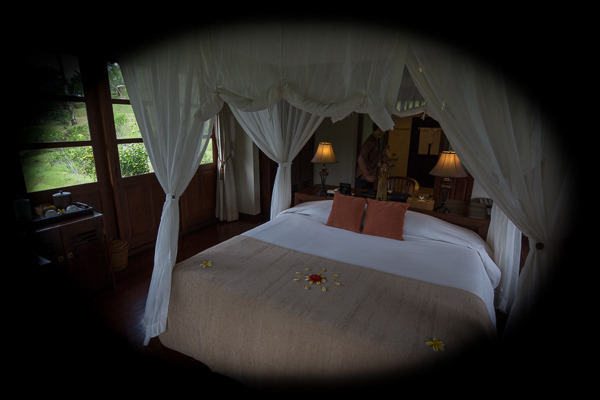 Verandas on both the Deluxe and Superior villas provide an excellent setting for a romantic dinner or just relaxing on the day bed. 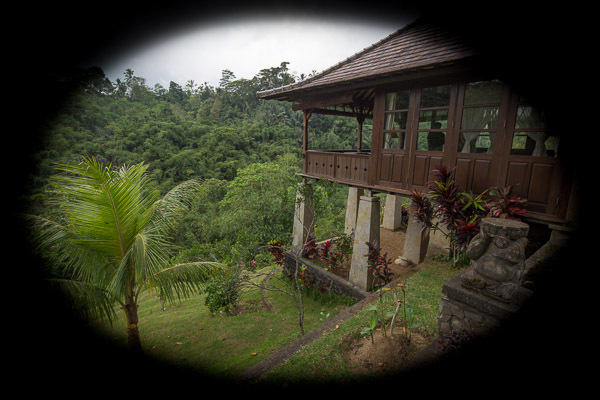 “Set amongst lush tropical forests in the mountains of Ubud, Bali, The Jati retreat provides beautiful views of mountains, valleys and lush tropical flora and fauna. The earth here blossoms with indigenous fruits, organic vegetables, flowers and herbs, many of which are also used in our spa treatments for medicinal healing as well as for our freshly prepared spa cuisine. Meander through the beautiful garden paths and explore our unique and exciting flora and fauna, see monkeys and many exotic birds in the surrounding bamboo forests. “Set in 5 hectares of hillside gardens amongst lush tropical forests in the mountains near Ubud, Bali, The retreat with 8 Deluxe Spa Villas and 10 Superior Villas offers the true spirit and grace of Asian inspired traditional healing. We’ve co-ordinated with the wellbeing retreat for daily activities that offer an insight into the culture and in keeping with our commitment to your total wellbeing, offers yoga, nature walk and Aqua Aerobics – included in your package. Included is a Balinese massage at the well appointed luxury spa. A traditional village massage, starting with muscle warm up without oil to stimulate blood circulation from the feet up. Acupressure techniques delivered by gifted hands with Balinese exotic warming oil made from spices and herbs provide deep muscle relaxation. Of course you can always treat yourself to more at the spa, but this one is included! Begin with a visit to the retreat farm fields and spice garden accompanied by wellbeing restaurant staff explaining the main ingredients used in the Balinese cuisine, then joining the fun and ritual of preparing a typical Balinese meal in the traditional Balinese kitchen style, learn various techniques and get to know traditional cooking equipment. The myriad of exotic scents and flavors will prepare your taste buds for a truly sumptuous experience: a traditional Balinese meal, prepared by yourself in an enchanting Balinese setting. WARNING: 3AM start! Enjoy trekking along Mount Batur and reach the higher spot to experience the enchanting sunrise view before your very own eyes. You will be accompanied by a well-trained local guide who will show you the beauty of nature through the whole journey. It’s an easy morning drive from Bagus Jati to Penelokan, a mountain resort approximately 1.200 meters above sea level. A stop at Tirta Empul Temple (a holy spring temple) in Tampaksiring is included, on the way. Embrace Balinese culture and custom on this whirlwind tour to two local temples and experience a purification ritual in the heart of Bali. Meet in the lobby and be helped by our lovely staff to dress in traditional sarong and let the morning unfold. Join our guide on an exceptional tour steeped in history, legend and experience. A visit to Gunung Kawi Sebatu temple, followed by a beautiful walk down to the recently discovered holy spring and partake in a purification and blessing ceremony where you walk to the base of the waterfall and immerse yourself in the purest water in Bali. Towels, Balinese clothes and offerings provided. Please bring a change of clothes for after the blessing. Enjoy nature at its best! Experience the magnificent variety of flora and fauna that inhabit the forests surrounding the valley around the resort. You may have the chance to glimpse monkeys in their natural habitat, while the chirping of a thousand birds composes a melodious symphony of natural sounds. The experienced guide accompanying will point out tropical trees and other plants, such as wild orchids and pakis ferns, the latter ones are frequently used in Balinese cuisine as vegetables.